It is beneficial to be mindful of some details to be able to reap the rewards of your efforts in the most important place for marketing your apps, the app markets. If you do not be considerate of these details, your app can easily get much fewer downloads than it’s potential and remain overlooked. It is stated that the app markets, which by the year 2014 had an income volume of 25 billion dollars, may raise this amount above 140 billion dollars towards the year 2016. Of course, the reason for that is the incredible increase in the demand for the mobile apps. 63 percent of the iPhone users spend a long time in app markets and trying to reach new programs fitting their needs by searching. Remaining percentage aren’t strangers to App Store either but, they make their app choices not by searching, rather they choose their applications by recommendation. Mistakes made while trying to make mobile apps draw the user’s attentions can make reaching that 63 percent to be impossible. Here are the App Store optimization mistakes that you should avoid making. SEO keyword strategies used for websites are applied on App Store too for enabling the mobile apps to reach more people. We can say that what matters in mobile apps is the integrity of the app and the keywords. The title and first words you will use for the mobile app you have created needs to be consistent with the keywords. This strategy can provide a 10 percent better success for your app on Apple App Store search results. Users ratings about apps are of utmost importance on the Apple App Store. Though, your app having a high score isn’t the end-all. Your app being rated by the users will carry you up on the highly rated apps lists, but this rating isn’t the only factor to ensure staying there. By carefully monitoring the comments and ratings received on the app market, you may set the course for your app’s optimization strategy. While it is obviously good news that users are downloading your app by seeing its ratings, you should still remember that it is also needed to evaluate whether they continue to use it or not. You may only ensure keeping your place this way. Aside from this, research conducted on the Apple App Store states that an important portion of the apps that have been to top 10 didn’t get there due to user ratings, but rather because they were easy to find by the app store search results. One of the most important features in Apple App Store is the title. Unlike what is commonly thought, always changing the title of the same app and constantly renaming it and renewing the keywords are among the strategies that may bring harm instead of benefit on the app stores. Such changes, done when your app is building momentum, may cause you to fall back to where you have started. Instead of changing your title, you should use short, creative and unique descriptions, support the title with keywords that can describe the app and not give up on this strategy. The information you provide to the introduction section of the app bears importance for the app to get demand from the users. Apple App Store concerns themselves scrupulously with the introduction parts for the apps. The quality of the opening paragraph and careful selection of the keywords that it will feature has an effect on the image of the app on the store. Apple App Store, search engine analyses, point at the keywords in introduction paragraph as having second in importance after the app’s name itself. Is it enough for the app to be placed in the Apple App Store? Creating an app and sharing it on Apple App Store is not sufficient to achieve success. Some users may download the app out of curiosity even though you have not spent any effort. However, an app that resides on the market for a long time without making any editing or any optimization will get drowned among the ever increasing and intensifying number of apps. Therefore, we would suggest you take a look at an article we have posted earlier about success on the Apple App Store. Using MobiRoller, you can create your mobile apps to apply these strategies and become hits on app markets. 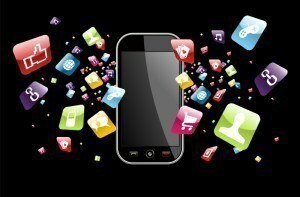 All you need to do for this is to create your free mobile app right away!